Armie Hammer | Cinema, etc. Ben Wheatley returns this month with his latest feature film Free Fire, which blends brutal action and sharp humour to create a roaring success of a film that will keep audiences entertained way beyond the 90 minute running time. The premise of the film for Wheatley stemmed from Wheatley reading online of various police stand-offs throughout history. He found one that lasted 45 minutes because neither party could hit their targets, despite years of training to do precisely that (sadly I can’t find the article to link to). This tickled a nerve with Wheatley, who thought it would be brilliant to see it on the big screen – especially since most stand-offs in films last no more than a minute. Set in the 1970s, the story revolves around two gangs meeting in a warehouse to make a trade for some arms. 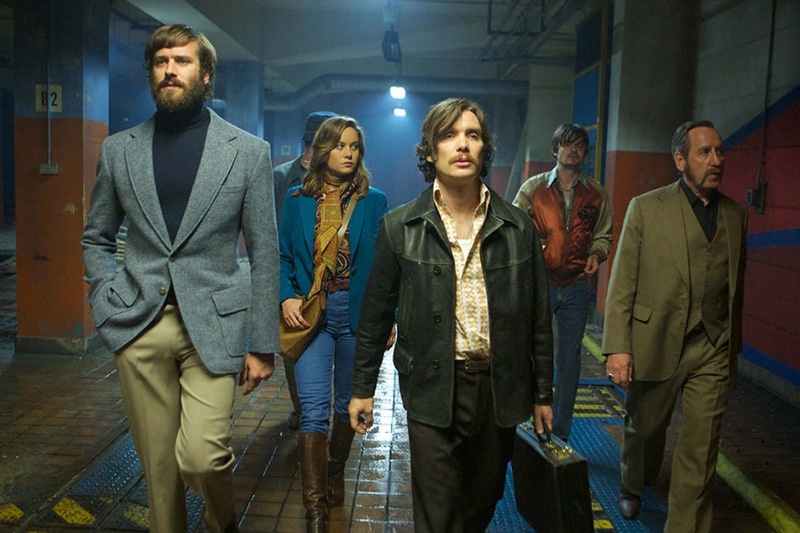 One group includes Chris (Cillian Murphy) and Frank (Michael Smiley), both presumably sourcing their weapons for IRA-related activities (though this is never explicitly mentioned), along with headstrong Justine (Brie Larson), idiotic junkie Stevo (Sam Riley) and even-more-idiotic Bernie (Enzo Cilenti). Providing the weapons are a group including bearded negotiator Ord (Armie Hammer), the sharp-tongued South African Vernon (Sharlto Copley), the intelligent Martin (Babou Ceesay), driver Harry (Jack Reynor) and Gordon (Noah Taylor) alongside a handful of support characters. Speaking after the film at a preview at Broadway Cinema in Nottingham, Wheatley offered a brilliant insight into some of the production decisions on the film. Hilariously, to get a feel for the environment and ensure the people were in realistic positions throughout to communicate properly, he had the entire set built in video game Minecraft. This allowed him to walk around the factory and get a feel of where he’d be once production started. A simple but brilliant solution, but also necessary as he stated this is the only 3D modelling tool he knows how to use. On a similar note, the shoot-outs themselves were partly inspired by Wheatley’s experience of playing video games, a medium he is a fan of enjoying even though he is yet to be involved with the creation of one (sadly his comment about writing an adaptation of 1980s video game Gauntlet was probably tongue-in-cheek). One issue they could have faced was in the continuity for the bullet shots. Clearly with 1000s of bullets flying around, there was a risk of wounds being out of place, or disappearing and reappearing between shots. The simple solution was to film it in sequence, which also plays into the building of tension at the start and exhaustion for the characters as the story plays out. Of the many great performances here, the highlight is Sharlto Copley as Vern. Initially annoyed about his Savile Row suit getting damaged, his whitty one-liners had the audience in creases. He’s a complete jerk and Copley plays it brilliantly, his irritating mannerisms making the heightened-tension all the more believable. The result is a film that consists almost entirely of a shoot-out that feels far more realistic than anything we’ve become accustomed in Hollywood films. People aren’t simply experts in shooting guns and it takes practice and skill to be any good at it. The characters in this film aren’t experts and that’s why the film plays out as it does. It’s grim, gritty, exhausting and hilarious. Seek it out and watch it.